Charming Three (3) Bedroom, Two (2) Bathroom, Attached Two (2) Car Garage Single Family Home on Beautiful, Brick Lined Street in Historic Crescent Heights Neighborhood! This Non-Flood Zone Home Rests on an Over-Sized Lot (60' x 127') and Has Old World Charm Including High Ceilings, Arched Doorways, Original Hardwood Floors, Crystal Door Knobs, Custom Trim Work, Cove Ceilings, Swing Doors, Prairie Windows and Brick Lined Front Porch Steps. Complimenting the Old World Charm Are Modern Updates which Include a Brand New Roof, New Kitchen Cabinets with Quartz Countertops, New Stainless Steel Appliances, Renovated Bathrooms with Vintage Tile Work, New Bathroom Vanities, Light Fixtures, Fresh Interior/Exterior Paint, New Landscaping and Newer AC System. Great Floor Plan with Formal Dining Room, Separate Office/Den with Original Tile, Spacious Living Room, Large Bedrooms with Ensuite Master and Cozy Enclosed Porch Suitable for Many Uses. Fully Fenced Exterior with Brand New Outdoor Deck Perfect for Entertaining, Outdoor Fire Area and Huge Secondary Yard that can Easily Accommodate a Pool. 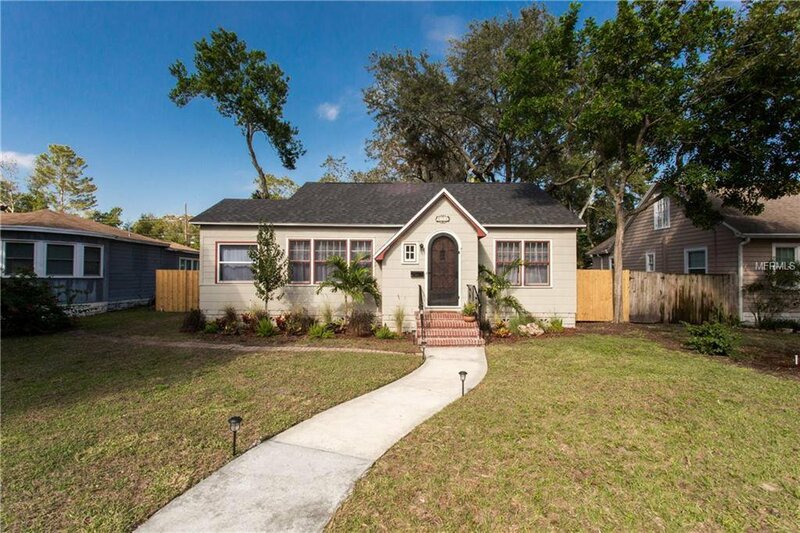 Move-In Ready Home in Booming St. Petersburg Located Just a Few Blocks from Trader Joes, Fresh Market, Coffee Pot Bayou and Downtown. Schedule a Time to View the Inside Today!